Nutrients are essential in our physical life to enable us to grow and to sustain us. A baby lives primarily on water and milk. As the baby grows, he begins to add solid foods into his diet, working his way up to meat. But we do not exist on water alone, or only milk or bread or meat. We need a balanced diet to be the healthiest we can be in order to live a full life. When an individual first receives God into his life by believing Romans 10:9 and 10, he becomes a child (baby) of God. To develop fully, he needs the proper diet to grow with God. A truly balanced diet will have the water, milk, bread, meat (and vegetable) of the Word of God, all being partaken in one’s life. One’s initial thirst for life with God begins to be quenched when he accepts Jesus as his Lord. It continues to be quenched by not forsaking God, the Fountain of Living Waters. (3) now that you have tasted that the Lord is good. Believe in Jesus; have faith in Him. Be “Fully Active In Trusting Him,” and your thirst will be quenched. To enjoy the bread of life, the next level of sustenance, one comes to Jesus on a daily basis, seeking his help in the affairs of life. This shows action on one’s part. But solid food [strong meat–KJV] is for the mature, who by constant use have trained themselves to distinguish good from evil. But the man who looks intently into the perfect law that gives freedom, and continues to do this, not forgetting what he has heard, but doing it—he will be blessed in what he does. The perfect law is where one goes for solid food [meat], and we are to continue in this perfect law (the strong meat). A believer must eat (receive the Word) and then digest what he eats (retain the Word). But to balance any diet and get all the nutrients that are needed to be as healthy and strong as one can be, one needs to eat vegetables. I now want to show that “let us” is God’s favorite vegetable in the Bible, and how we eat our “let us” is by applying the Word in our lives and releasing it to others. Throughout His Word, God implores us to walk godly rather than ungodly. Our old, sinful nature pulls at us to turn from Him, so we will first look at a few negative “let us” verses. Then, because we need encouragement to walk righteously, we will look at a number of positive “let us” verses. The “let us not” verses show up as old, brown, dead leaves of “let us.” They are something we should want no part of in our lives. In fact, we are to “put to death” these and other aspects of the old nature. Just looking at these brown leaves of “let us” should motivate us to have no part in fornication, tempting Christ, envying each other, or growing weary in doing good. To maintain a healthy spiritual diet, we must look to the fresh, green, living leaves of “let us.” What follows are a few of these healthy leaves of “let us.” Put together, these leaves will give us the full head of “let us” that God intends for us to enjoy. …let us hold firmly to the faith we profess. Let us then approach the throne of grace with confidence, so that we may receive mercy and find grace to help is in our time of need. Eating and digesting our “let us” is how we bond together as members of the Body of Christ, knowing that the Lord Jesus is always there to help us. These verses encourage us to stand firm with fellow believers, living our lives full of mercy and grace toward one another. “Let us” gives us the strength to persevere out of reverence for God and Christ. (3) Consider him who endured such opposition from sinful men, so that you will not grow weary and lose heart [strength from Jesus]. Our attitude in partaking of “let us” is one of thankfulness and love, which will cause us to succeed. Dear children, let us not love with words or tongue but [let us love] with actions and in truth. In Hebrews 10, there are five invigorating leaves of “let us” that give us strength to build up the Body of Christ. Since we have access to “the Most Holy Place” (v. 19) and we have “a high priest” (v. 21 – KJV) who has offered the ultimate sacrifice, we can draw near to God. Jesus Christ tore down the curtain that separated us from God, and now we are God’s dwelling place with “…access to the Father by one Spirit” (Eph. 2:18b). We are now to draw closer to God through Jesus Christ. We must have a sincere heart, knowing what Jesus has accomplished for us. We need to personalize the fullness of what he did for us. This is the first step in the building up of the Body: one’s “personal” growth. Getting born again, Step One, is the simple part in drawing near to God. As we develop our trust in Him and His Son, and our Hope becomes more real, then we will stand firm in this world. We will unswervingly persevere through the trials and sufferings of today, knowing our hope of being gathered together with Christ and later being with him in a restored Paradise. God has promised this, and God is faithful to do what He says. Now our responsibility is to stand faithful and grow in the knowledge and wisdom of God through His Word, and that is Step Two on the path of growth. Once we have accepted Christ and are drawing closer to God, building the Hope deeply into our hearts, our individual walk with God is on a firm foundation. Now we begin to look outside of ourselves and see what we can do for other members of the Body. We begin to contemplate ways to give of ourselves that will encourage others to love more fully and fulfill their part in the Body of Christ. As individuals, we have grown up to begin looking outside of self and into the lives of others. This is Step Three on the path of spiritual growth. Is there a better way to spur one another on than spending face-to-face, heart-to-heart time together? The example of the First Century Church in Acts 2 helps us see the standard of fellowship that is available. People met together primarily to hear the Word of God, but also for interaction, eating together, and praying together. Likewise, we must get together and make the truth of the Word our standard for how to behave with one another. It is the Word that shows us who we are in Christ and how to love one another. Through spending time together we can reach into each other’s hearts and minister Truth to one another. This is Step Four in growing up into Christ. …let us encourage one another—and all the more as you see the Day approaching. One thing we are to do is to encourage one another. The English transliteration of the Greek is parakaleo, translated “encourage,” means “to call aside, appeal to by way of exhortation, comfort, instruction.” We comfort one another with the comfort we get from God. Also, prophecy is a way we can edify, encourage, and comfort each other (1 Cor. 14:3). When together, we are to operate the manifestations of the spirit, especially tongues with interpretation and prophecy. As we get more and more out of ourselves and more and more into serving others, the Body is encouraged. This is Step Five in the building up of the Body. 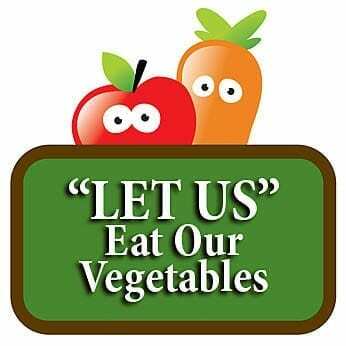 “Let us” is apparently God’s favorite vegetable in the Bible. This helps us balance our lives, giving us a complete meal of water, milk, bread, meat and vegetables. Our obedience in “eating our vegetables” enables God and the Lord Jesus to work with us, encourage us, and help us encourage one another day by day. Together we can delve deeper into God’s heart, strengthened by Christ and fellow believers. Day-by-day, with thankfulness and love, we shall succeed to a fuller, deeper degree in becoming like Christ and manifesting his love and Truth to a dying world. So, let us be sure to have lots of “let us” in our daily spiritual diet. Bon appetit!